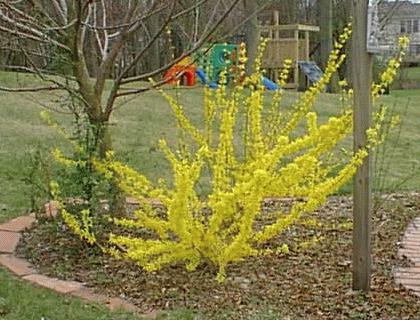 After the tulips are done, the forsythia blooms in mid March. 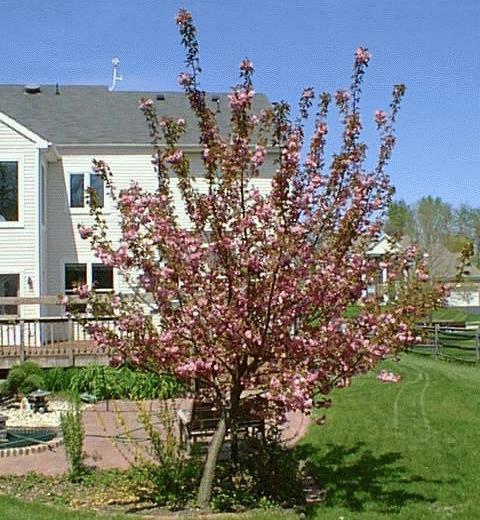 This "Kwanzan Cherry" Tree blooms in early April. 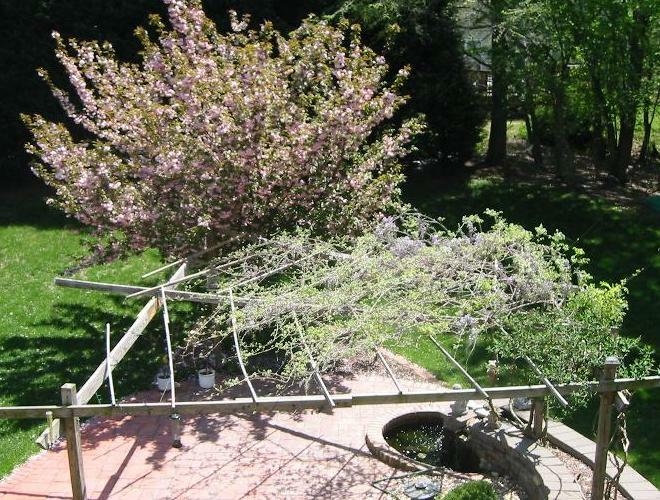 that the Cherry, Peony, Wisteria, and Honeysuckle are all blooming here (20 April 2002). On this day, I had just started the pond again for the year. The water looks great. 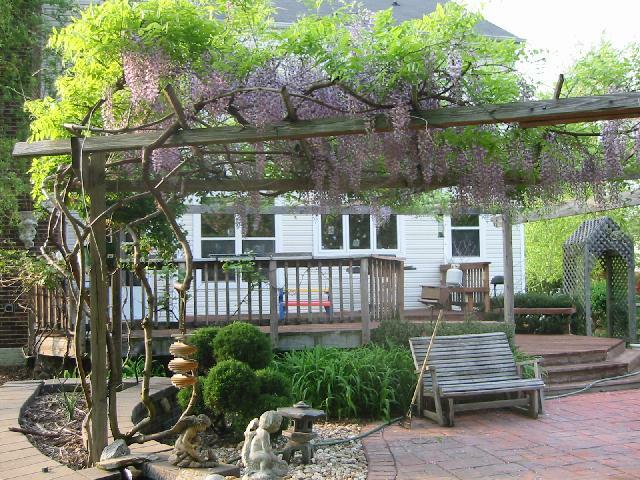 the wisteria almost covering the pergola. 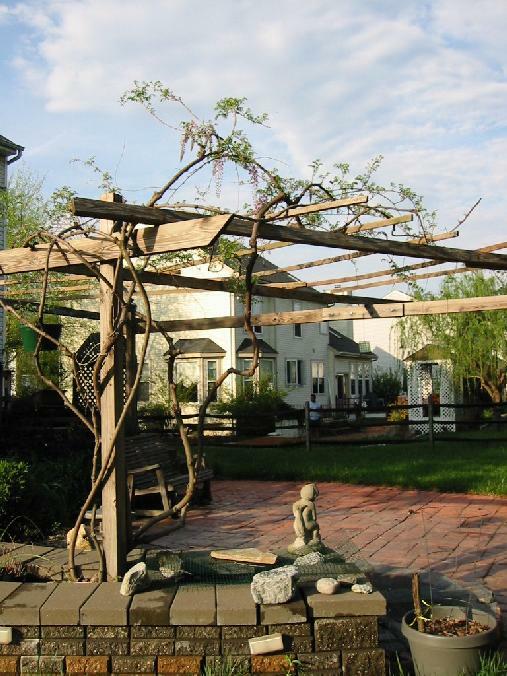 I had been training it to go up the pergola, which involved constant pruning and wiring. We look forward to a shady area underneath it starting this year. 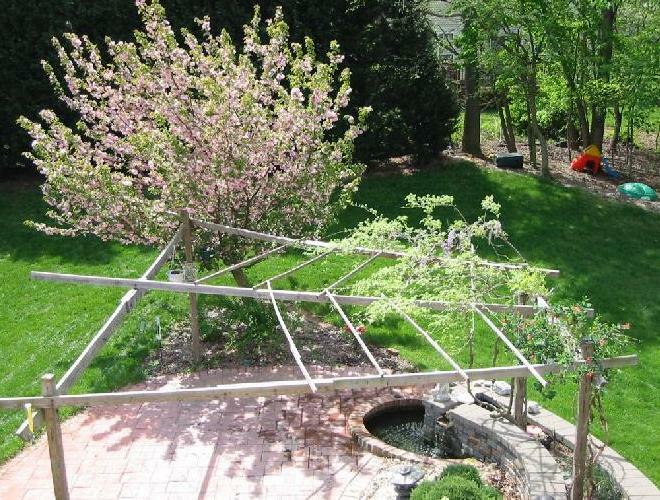 It will grow resting on the horizontal bars of the pergola. strings of purple flowers. 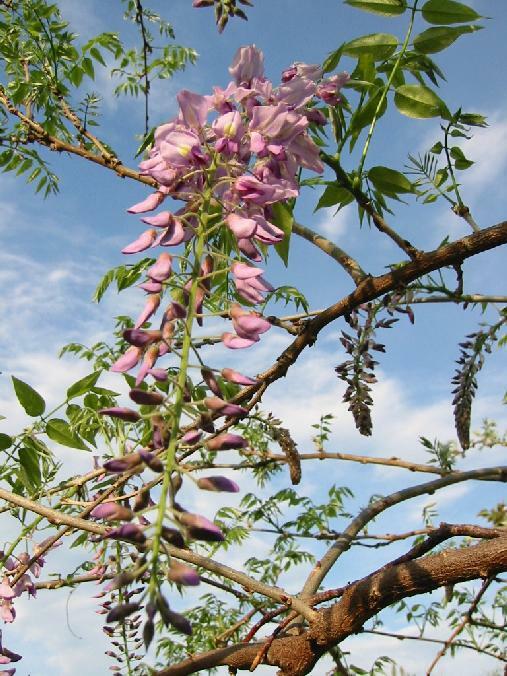 Their emergence was the highlight of Spring 2002.
wonderful fragrance of the blossoms (5/2/2003). his First Holy Communion. 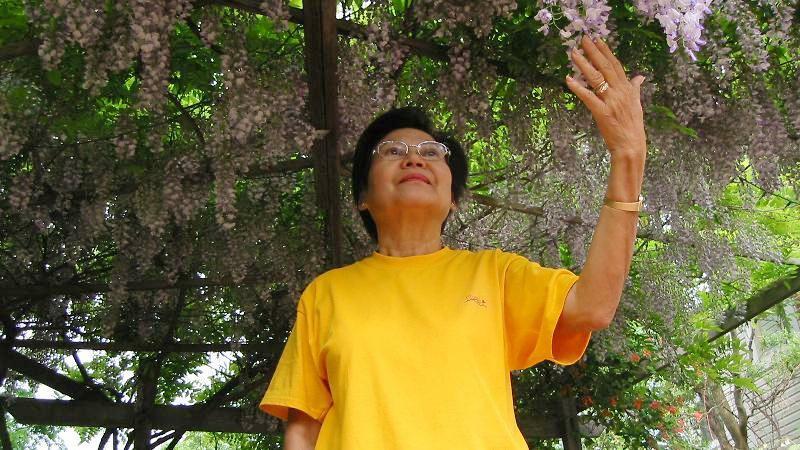 She enjoyed their scent and their sight. 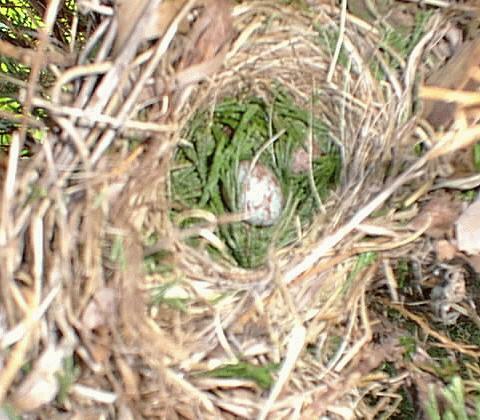 Spring time brings numerous nest builders to our trees. 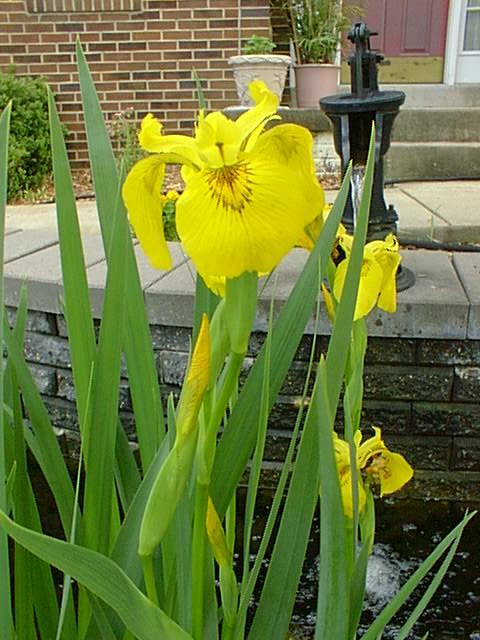 This water iris is one of the plants in the front pond (5/01).